The next generation of PERI Pave offers our customers: less concrete buildup and less cleaning effort. How did PERI solve this? The new PERI Pave has so to speak an "integrated" separating effect. 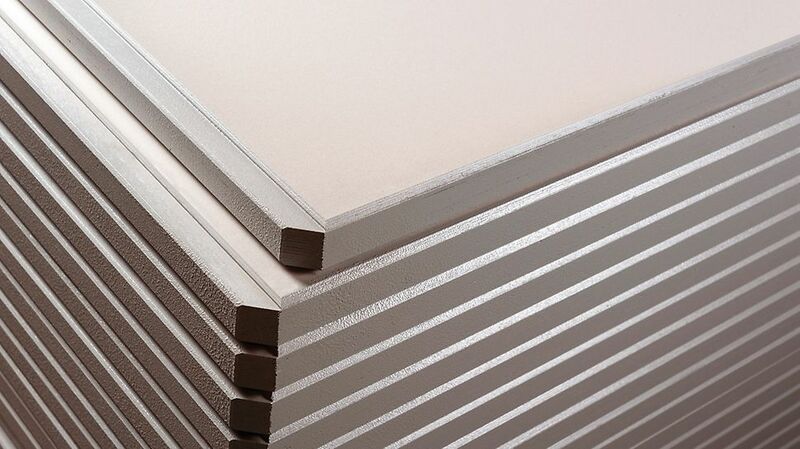 Thanks to innovative additives in the plastic coating of the multiplex boards, even concrete products with a high w/c value adhere significantly less to the production pallet. The same applies to the stone sealant, which until now has often built up on the boards. Of course, PERI Pave also offers the proven aspects of optimum load-bearing capacity, special surface hardness and abrasion resistance. Industrial production of concrete blocks demands the adherence to high standards from the manufacturing systems that are used. The aim is to ensure a constantly high and repeatable concrete quality for many years even with a high throughput. 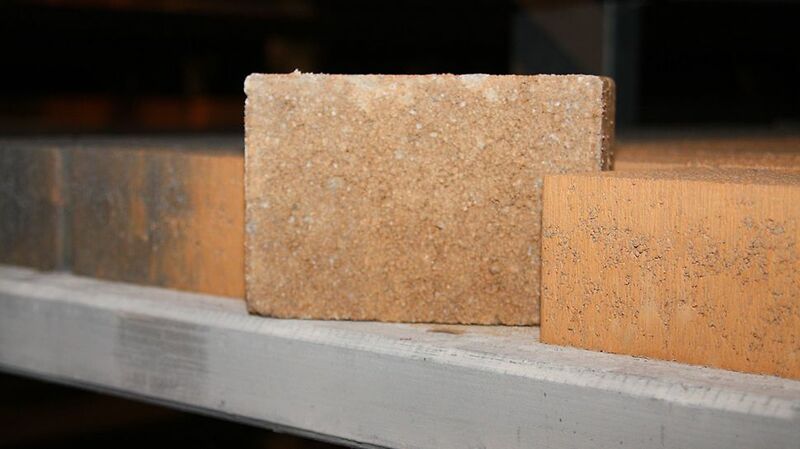 Therefore the PERI Pave production pallets with their excellent properties are a reliable component of international manufacturing of concrete blocks. The multiplex core is produced through the cross-bonding of high-quality hard wood veneers from sustainably managed forests. 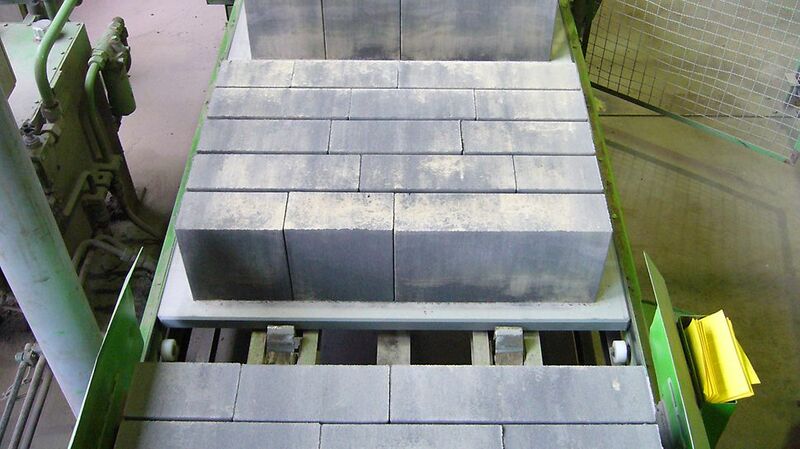 The polypropylene coating, which has been especially developed for the utilisation in concrete block manufacturing plants, offers particularly high impact and abrasion resistance and thus ensures the longevity of the PERI Pave production pallets. Due to the absolutely homogenous construction of the pallet, the bandwidth of compaction tolerances of the concrete products is limited to a minimum, uniform heights and consistencies are the consequence. Even under highest loads, PERI Pave pallets show a minimal deflection due to the very load-bearing core. The thickness of the pallets is adjusted to the production conditions of each customer. So even after many years of use, the deflection will not exceed the requested maximum deflection. 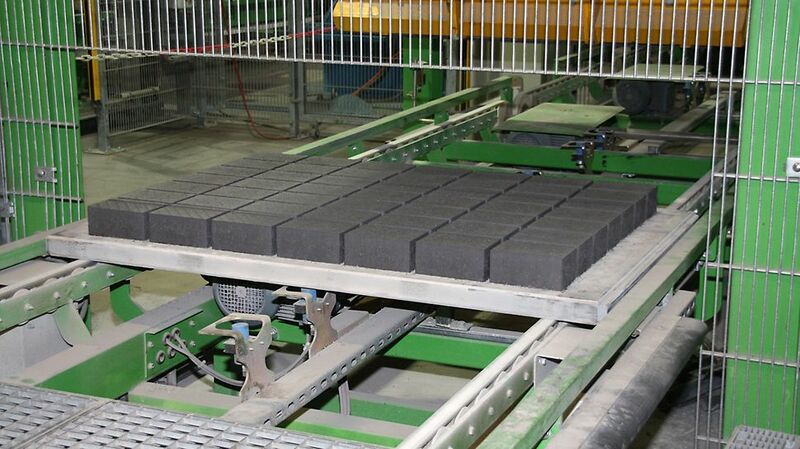 The low net weight of the PERI Pave production pallet leads to energy savings during the transportation through the machine cycle. Cycle times are reduced as there are no withdrawal plates, so this increases the efficiency of production. 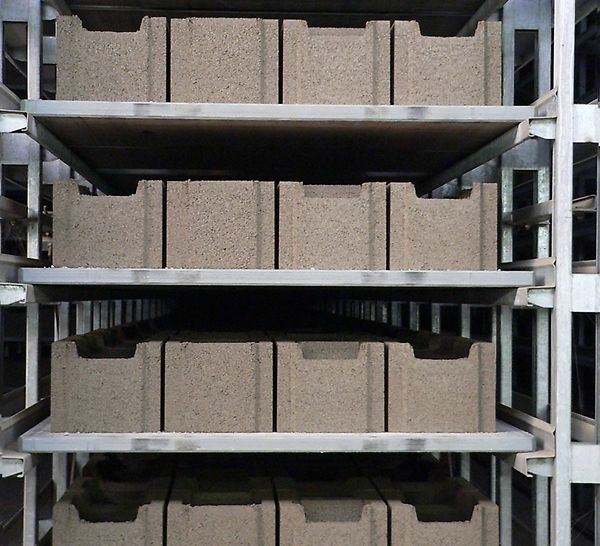 The constant properties of the PERI Pave production pallet are maintained over a long period of time – also with high humidity in air-conditioned chambers as well as during the production of washed concrete products. 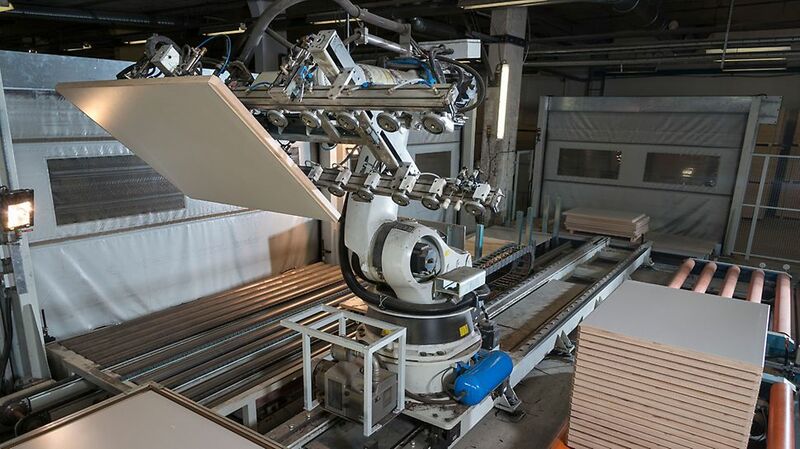 The bonding of the plywood veneers with each other as well as the coating on the face veneers is guaranteed for the complete term of utilization. Suitable for every machine type due to the individual CNC milling of the pallet edges. Edges are sealed twice with permeable acrylic paint. The tolerances regarding flatness, thickness and dimensions are below the stipulations of the SLG regulations.